Akshay Kumar said: Though the British celebrate Saragarhi Day but we Indians do not know much about it." Ahead of the release of Akshay Kumar starrer Kesari, the actor, appealed to the Indian youth to watch the film which he said is based on a topic that has eroded from the history books and needs to be celebrated. Speaking about the plot of his upcoming film which is based on the 1897 Battle of Saragarhi, Akshay Kumar, in his address at a promotional event on Friday said the people in India are not aware of the legendary battle and children need to watch this film. 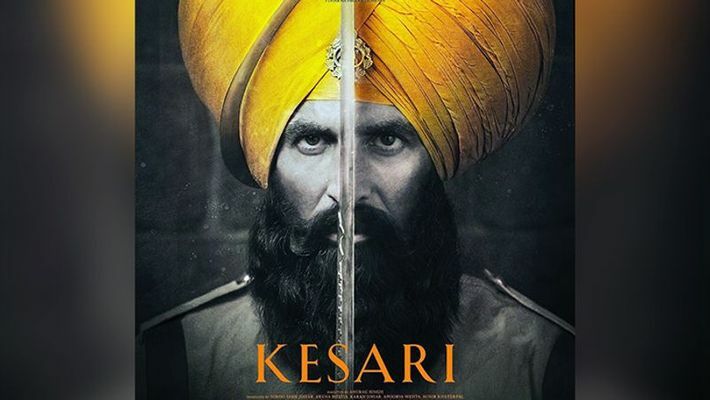 'Kesari', which also features Parineeti Chopra in the lead role, is based on the 1897 Battle of Saragarhi, where an army of 21 Sikhs fought against 10,000 Afghans. Akshay will be seen essaying the role of Havildar Ishar Singh. Comparing the concept of his film to an iconic Hollywood film titled '300', the actor said, "We all know about the film 300 where 300 men fought against 80,000 people. That is a fictitious story. But this is a real story. I want parents to show this film to their children." When asked if the film's release was deliberately placed around the upcoming election day, the actor asserted that he had announced this film about one year back, long before the election schedule was announced. "I had announced this film one year back and the elections dates were announced much later. I made the announcement first." The film, which is directed by Anurag Singh, is all set to hit theatres on March 21, giving fans a perfect Holi gift. Apart from 'Kesari', Akshay will also be seen in 'Good News' and 'Mission Mangal', while, Parineeti will soon star in 'Sandeep aur Pinky Faraar' and 'Jabariya Jodi'.